Come to Escape. Stay to Discover. Experience laid back luxury at Sansara. Stay in one of our 12 private oceanfront cabanas. Designed to inspire serenity, the zen-like atmosphere of Sansara blends seamlessly with the lush nature and quiet beauty of the property's grounds. The stunning fusion of traditional design with a tropical twist promises you an experience that is both intimate and inspiring. JANUARY through to MAY Sansara hosts an array of wellness inspired retreat weeks. These custom retreat weeks may appear unavailable on online booking engine. However space DOES remaining for you to join. Allow yourself to dive deeper into your yoga practice, par-take in our world class surf program, or lounge pool side with a refreshing custom cocktail. These weeks are great for all, from the solo traveller, to couples, or friends traveling together. Please Note: These retreat packages are designed as 6 night packages, arriving every Sunday and Departing every Saturday. Below is a link for you to check out our expansive and inspiring retreat calendar and sign up today! When we are not hosting retreats we have the ability to custom create our guests a Sansara Experience Package, below you will find our available dates now through to the next few months where this amazing offering can be experienced. See below for full details and contact us for a complete quote. Daily Meal Package, Daily Yoga Classes, Daily Surf Lessons, Oceanfront Massages, fishing trips, waterfall adventures and so much more! Featuring extraordinary views, each of our 12 cabanas comes equipped with its own private patio and is just steps away from the warm water of the Pacific Ocean. From tropical garden cabanas to oceanfront suites, there is something for everyone. Our cabanas are designed uniquely to accommodate one to four adults, perfect for solo travelers, couples, friends or families. Enjoy a restful night’s sleep in a plush king-, queen- or twin-sized bed with fine linens and plush pillows. Each private cabana is equipped with organic bath products, hot water, air conditioning, and a mini-fridge to keep your refreshments cold. 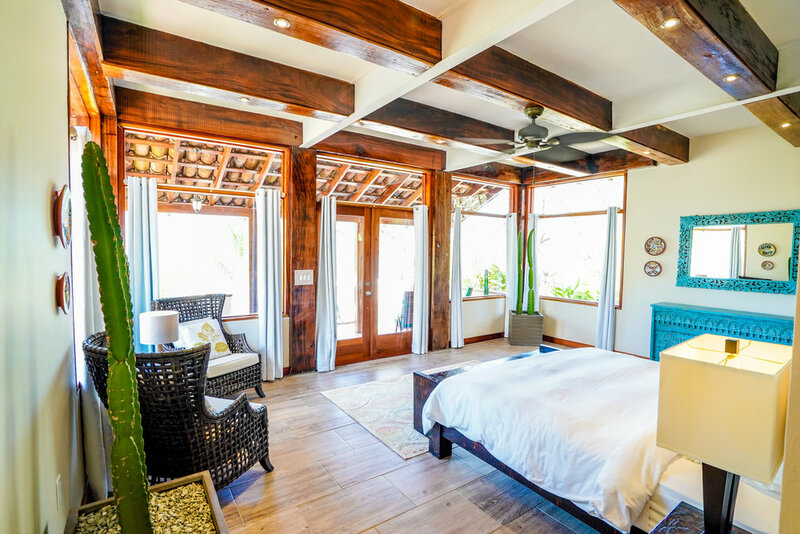 Whether you envision spending your days practicing yoga, surfing at sunset, eating the most delicious cuisine, lazing in a hammock or sipping cocktails around our natural saltwater pool, Sansara has all areas covered. CONTACT US for available dates and allow us to customize your stay based on your desired nights. CONTACT US for available dates, and all us to customize your stay based upon your desired nights. Experience Sanara’s s most luxurious cabana. Check out our cabanas and book online or contact us for your customized Sansara Experience.